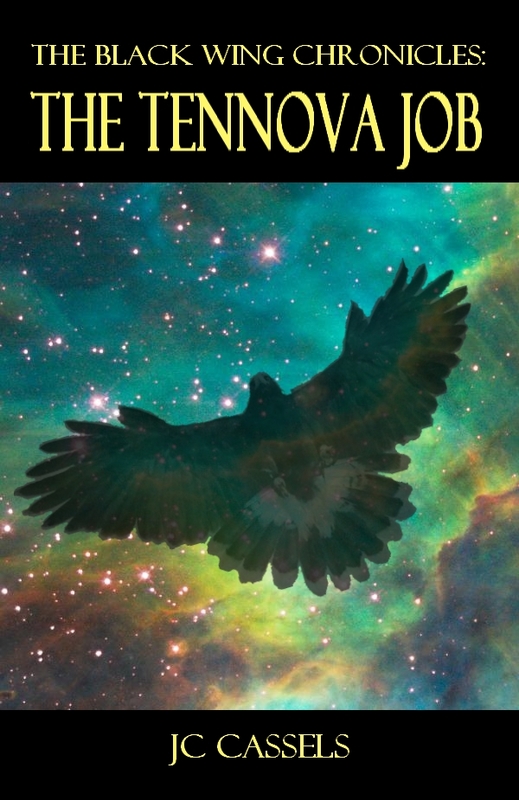 The cover art and blurb for THE TENNOVA JOB have been finalized, but it still does not yet have a publication date. This book is the first installment of THE BLACK WING CHRONICLES, the Space Opera series starring Bo Barron and Blade Devon. This scene is Blade’s introduction to the series. During the course of this scene we learn that he is a man with many aliases. He is a deserter and a burn out. Tonight, Blade has donned the persona of Darien Roarke, a gambler, in order to play in a Five Point Tourney in a night club in the Third Sector, and he has no idea that events have been set into motion that are going to change his life forever. Aware that he is being followed, he isn’t exactly surprised when one of the “predatory females” propositioning him turns out to be someone he knows well and isn’t happy to see. He would have asked anyone else how they’d managed to find him and follow him without being seen, but he didn’t have to. She’d been his handler. Of all the Inner Circle Agents in the First Sector, she probably knew him better than anyone. If you want a little more of THE TENNOVA JOB, BARRON’S LAST STAND, or to learn more about THE BLACK WING CHRONICLES, just click on the links. I’m intrigued! Thanks for sharing. Fun little snippet…can’t wait to see how things progress from here between these two. Can’t wait to read the whole thing. I can’t wait for this to come out!! A nice, fast-paced little snippet. Well done. Good stuff. Nice chemistry between them!! A man has to have priorities. Nice job! It reads smoothly. He is so smooth and charming. I love this character. I can’t wait to read more about him. I have a feeling there’s more on her mind than dancing! I love the mood you set with your word choice. Both in dialogue and action. So very clear he is aware of just how leery he needs to be, but also must act in control and not worried. Great piece. Scary that she can find him so easily, but when you know who you’re hunting down, guess that makes life easier. I like his determination – hope he gets to play the game.